As designers, sometimes, we get the inside scoop on happenings throughout the city before they get noticed – or even get started at all – such is the case with 238 Queen West. 238 Queen Street West will be undergoing a serious transformation this year. We know, because our team along with the retail team at Savills, we’re helping out with the marketing and design of the project. Once home to the bustling St. Patrick’s Market, the current structure was erected in 1912 after an even older market, built in 1854, burned down. The 238 Queen Street building has been designated as a heritage property since 1975, dedicated to act as a food marketplace. 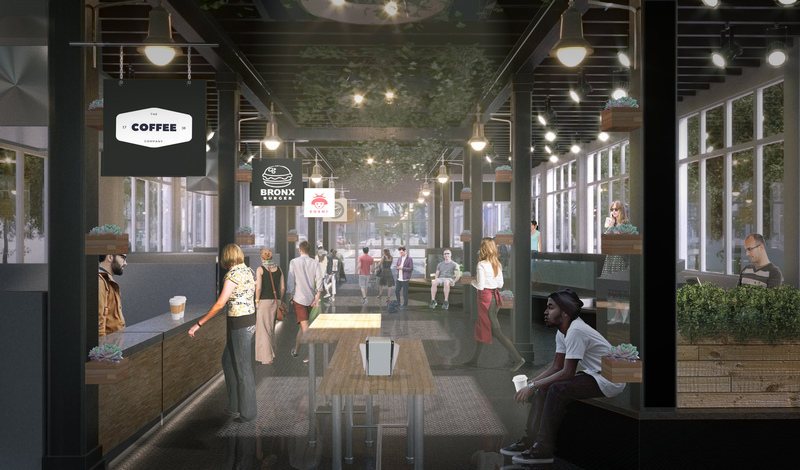 In order to serve the public better, in a neighbourhood known for its music, word-class shopping and entertainment, the space is being reinvented with a more food and hospitality-forward approach, with the new moniker “Queen Street Eats”. 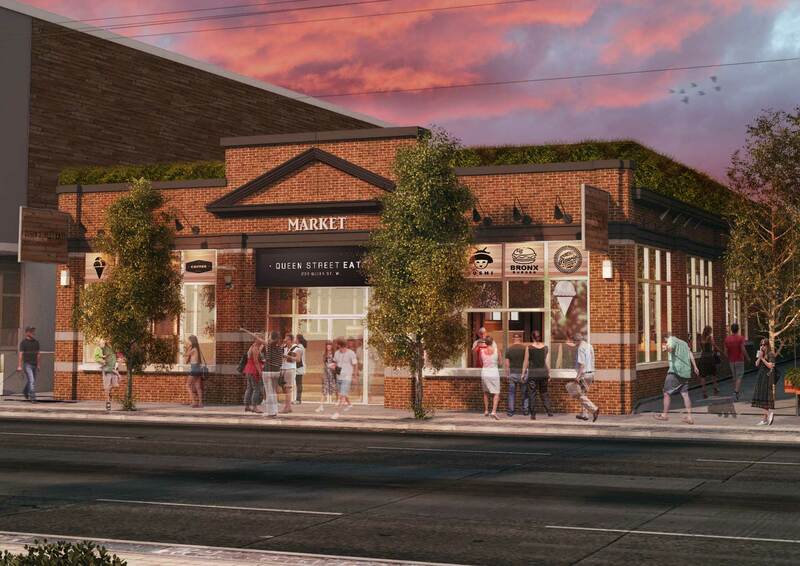 Queen Street Eats is being designed and built out from the existing 238 Queen Street West space, which will undergo significant renovations. Upon the suggestion of the people of Toronto, a considerable amount of attention will be paid to adding seating to the space – space to relax and enjoy a meal. Some space previously occupied by tenants will be sacrificed to provide the much needed custom raised seating area. Local artists will be brought in to help with some finishing features in the space. As for the food, the owners are currently seeking out and speaking some of the best and trendiest “Eats” brands around the city; they have opened the application process up online at Queenstreeteats.com. The group is dedicated to work with the best independent brands, some of whom may not want a stand alone Queen West location. Available spaces are being offered from 200 – 2000 SF, depending on the potential tenant requirements and operation deals that are made. Once open, Queen Street Eats will provide a truly unique Toronto ambiance to enjoy over lunch or a night out. The leasing for the building is being spearheaded by the Savills Retail team here in Toronto with design consultation by Toronto Creatives. For leasing information contact Jay Katzeff, Savills Brokerage. Toronto. For project information visit QueenStreetEats.com, and follow the design and build progress on Instagram @queenstreeteats.